This TSX Plug-In is available as Free-Ware and may be used, free of charge. 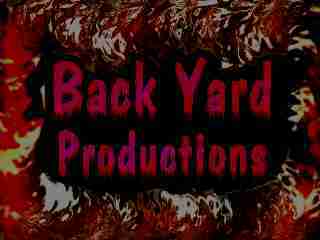 Developed by Game-Master (Richard Rodriguez) of Back Yard Productions. **Compatible with TS versions 3.2 and 4.0. This plug-in was made to replace trueSpace's primitive panel for creating basic objects. It has been designed to be easy to use, and compact. You can retain Location, Rotation and Scale(optional) of the Target Object, while interactively swapping objects and changing parameters. By Clicking and Dragging either the spinner or the labels below it, causes the number highlighted number in Red to change. Right Clicking most areas brings up an options pop-up menu. The Active object type is highlighted as well as the active parameter. Options include: Triangulation, Object scaling, Spinner Maximum, and Drop Options. Defaults are as follows: Triangulate - OFF | Max - 50 | Scaling - Size of Target Object | Drop - Copy. Memory May Run Out with High Primitive Parameters.